BETTER TRY THAT BONZA BLINCO STREET CAFE SOON! 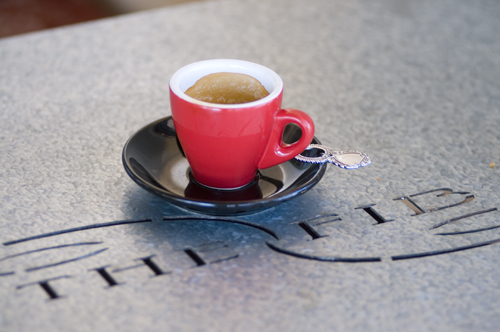 The Fremantle Blinco Street Cafe is in the Fibonacci Centre and a wee bit off the beaten track and tourist walks, so keep it in mind when you want something different and special. It is a lovely place and the coffee and food is goos and it just got a nice feel about it, so give yourself, your family and your friends a special treat soon! Dear friends and family on my Facebook-sphere. Some of you may know of my lastest venture opening Blinco Street Cafe in January this year, so if you are in need of a humble feed with good coffee in a funky artsy venue or know of people travelling to Perth/Fremantle please send them my way! We’ve got the occasional music gigs, poetry nights and workshops (yoga, pilates, ukulele) so something for everyone! The staff are needing new people to meet!! I always like to support new ventures in Fremantle and even more so when they are off the beaten track and need a bit of a hand to get going. The BLINCO STREET CAFE in the Fibonacci Centre is under new management, so it needs the community to step behind it and make it work. 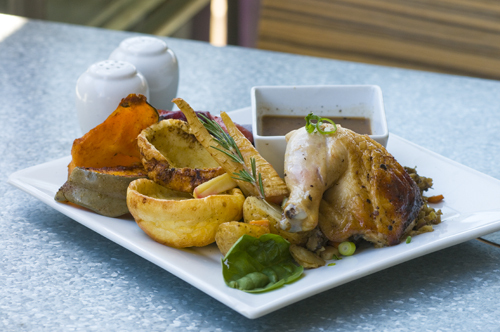 If you want an early Australia Day celebration why not hop into the Blinco this evening for Sunday roast. They have lamb and chicken on the menu and the roots vegetables and Yorkshire pudding looked pretty yum when they did a trial dish this morning. I also had one of the best Espressos I have had in a long time there, so be adventurous and visit the cafe at the Fibonacci Centre. It’s got a lovely alfresco first floor deck to relax. The cafe is open Wednesday-Sunday.